My book, Hit the Road, Jac! is now published and available on Amazon (currently only available on Amazon.co.uk). 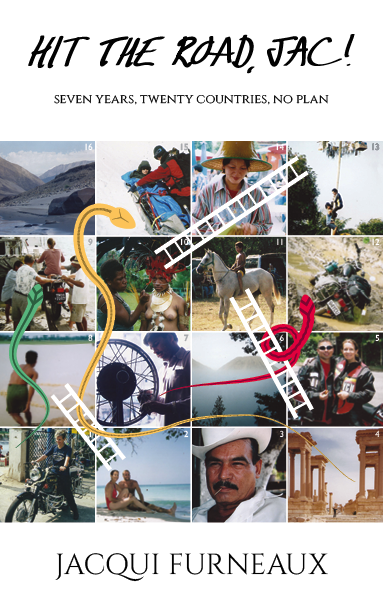 It covers the seven years of motorcycle travel between 2000 and 2007 where I travelled through 20 countries (see Our Journey). 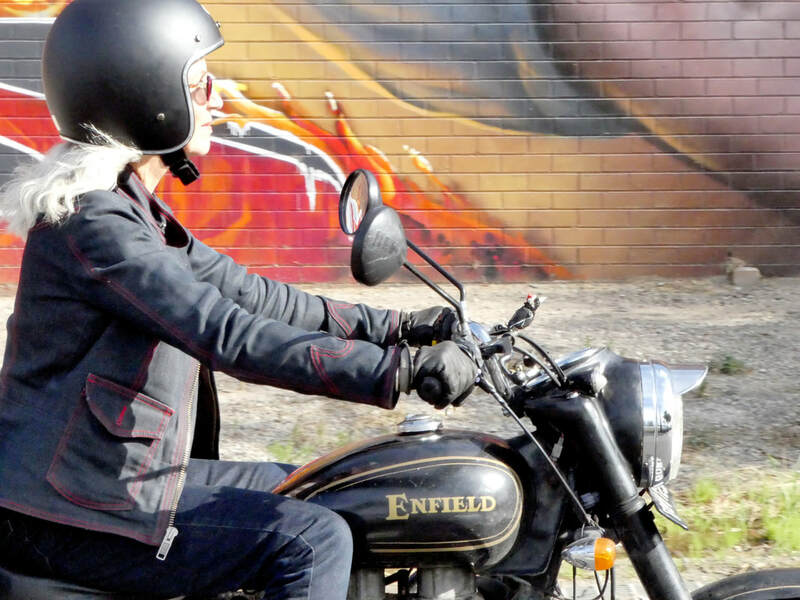 An ex-nurse and a long time motorcyclist, Jacqui Furneaux left the UK in 2000 and travelled by plane to India where she collected a brand new 500cc Royal Enfield Bullet. She was fifty years old. What followed was a daring, scary, comedic, romantic, stubborn, dramatic, violent, death-defying and often lonely journey armed with her obvious wit, her natural resilience, yards of self-reliance, a bag of tools, a spare can of petrol, a few changes of clothes, around £300 per month and a large knife. On the journey, Furneaux faced (and faced down) amorous brothel keepers, ruthless pirates, mad drivers, madder sailors, wild animals, and any number of other hazards that are all part of a day's ride for the average global motorcycle trekker. Buy the book in paperback from Amazon - £9.99. ​Buy the book on Kindle from Amazon - £4.99. Buy the book on Audible as part of a subscription.